Simply Sunshine-(Jim Hedgecock-2011)-Tall Bearded Iris-32 Inches Tall-Early Bloom Season-Ruffled standards pale yellow. 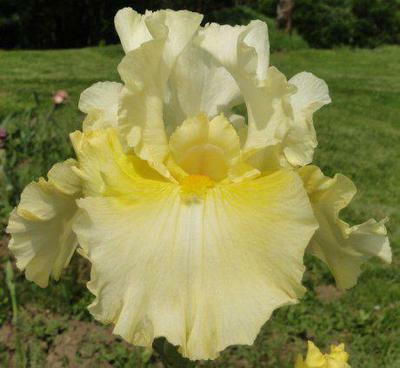 Ruffled and fluted falls pale yellow with darker yellow hafts. Bright yellow orange beards. Slight sweet fragrance. Very nice yellow.